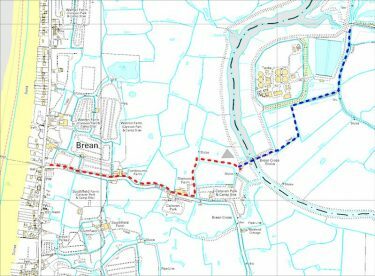 We’re pleased that progress is being made on the Brean Cross link, connecting Weston to Brean Down. The project is being pushed through by John Grimshaw and he’s been in touch to ask if BCyC supporters might like to join the 2nd work camp to finish off the work. Work camps and parties like this are great fun and are how the Bristol Bath Railway Path was built. There’s also a warm invitation to join the grand opening ride on Bank Holiday Monday May 1st starting at 12.30 at Weston’s Pier and running through to the Napoleonic fort at the end of Brean Down. This will arrive at the beach after high tide at 11.13 so those who want to can use the beach route. 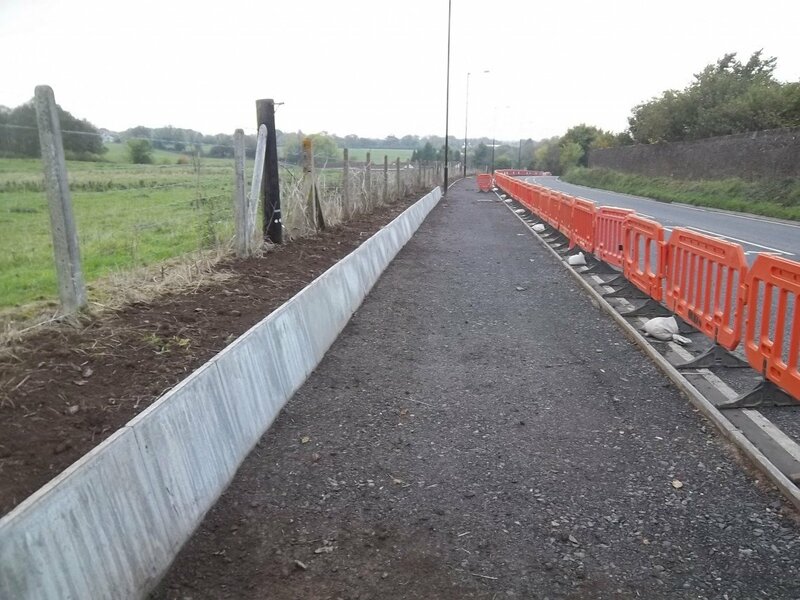 Steady progress has been made on the project and we are on programme to complete and open this long sought route on Bank Holiday Monday May 1st 2017. The contract for clearing the hedges and trees has been let to be completed by end of February (start of bird nesting season) and the contract to construct a difficult section tight against the main road will be let shortly to be finished for Easter. We arranging a volunteer work camp to complete the rest of the work, 800m of new path, sundry fences, gates and culverts and 100m of bird-hide timber wall across the River Axe sluices to prevent redshanks being disturbed. You can come for some, or even all of the time. The camping facilities are very good (available from Friday 21st April). We have our own field, near to all the facilities of Diamond Farm Campsite including café. We will have our own caterer for at least some of the time. And the site is less than a mile from the sea, and will be connected by our path at the end of the camp. And there is a wide range of practical ways to help, including wandering around all the nearby campsites to let people know of the Path. If the idea appeals to you please let us know. The camp work will run from Saturday 22nd April and the camping field will be available from Friday 21st April. The section being worked on is shown in red on the map. You can find out all about the route here (maps 6 and 7). John also tells us that there will be one Portway Sunday this year on 17th September. If you’d like to join the small group coordinating this then get in touch through portwaysundaypark.co.uk. Useful update from North Somerset of their 2014 schemes on Better By Bike. As well as schemes in Worle and Weston we are particularly interested in the route along the A369 to Portishead. This is part of Freeway F16 in our neighbourhood plans for that area. 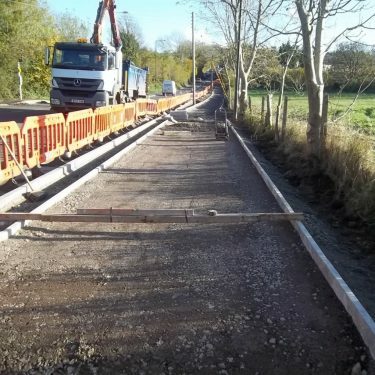 Update: see Sam Saunders set of photos of A369 Cycle Path under construction. See more at Better By Bike.